We were thrilled to see such a turnout for the March For Our Lives! What an inspiring day! It was a testament to what we can accomplish working together. Next up - complete the rest of our Asks! As discussed, some of us are shy on the phone. Sundays are a great time to call if you prefer leaving a message. A sample script for Ron Kind would be: "Hello, my name is x and I'm calling from La Crosse, WI. I am calling today to ask Ron Kind to return his NRA donations. I have voted for Representative Kind in the past, and I have been proud to do so. However, I cannot in good conscience continue to vote for anyone with blood on his hands. Please return the money, and do not accept more in the future. Thank you for listening." Of course, you can tweak the script to make it more personal! One office call is GREAT, but a call to all three numbers would be EVEN BETTER! We hope this script for Ask 5 gets your creative juices flowing for Asks 6 and 7! If you have questions, please email Moms Demand Action La Crosse leaders. 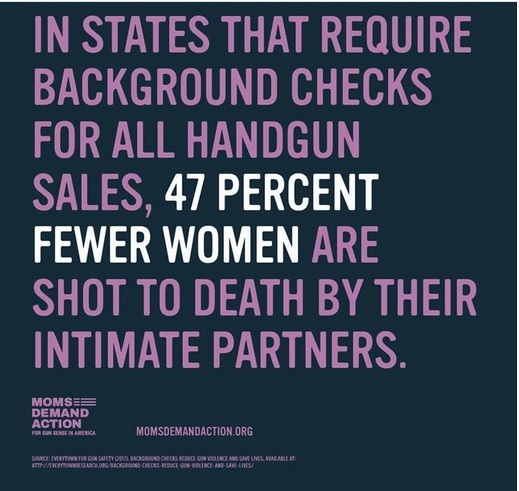 Join our Facebook group, Moms Demand Action-WI. WE WILL BE DISMANTLING OUR LA CROSSE PAGE VERY SOON. Ask friends outside of La Crosse to join our meetings. We are located in La Crosse, but are happy to include smaller communities nearby. Ask our Representative, Ron Kind, to return his NRA donations. [Editor's note: According to Open Secrets, a campaign contribution database, Kind's last donation from the NRA, $4,900, came in 2010. His last donation from the National Shooting Sports Foundation, $2,500, came in 2016.] He can be reached at: (La Crosse phone) 608-782-2558 (fax) 608-782-4588 . His D.C. Phone number is (202) 225-5506 and fax is (202) 235-5739. His Eau Claire office phone number is (715) 831-9214*and fax is (715) 831-9272. A petition can be found at https://petitions.moveon.org/sign/ron-kind-return-the-money. Contact our senators about the Concealed Carry Reciprocity Act. This has already passed in the House, and is very dangerous! It would allow concealed carriers in one state to travel and conceal in another, essentially turning the weakest state laws into nationwide laws. Our Senators are Ron Johnson and Tammy Baldwin. Oshkosh office is (920) 230-7250 and fax is (920) 230-726. She does not have fax numbers listed for any of her offices per her website. Both Johnson and Baldwin have Facebook pages. 7. Ask the chairs/members of the State Assembly Committee on Criminal Justice and Public Safety to immediately schedule a hearing on Assembly Bill 428. This bill would require the owner of a lost or stolen gun to report it missing within 24 hours of discovery. The Assembly Republican leadership has said that they are done and will not be coming back to session. If that is the case, this bill is dead for this session. They CAN come back, they just may not want to. 9. Advocacy Day in the Capital is April 5! This is a chance to meet with our lawmakers to talk about gun legislation we do, and do not, support. Schedule is roughly from 8:45am- 2:30 pm, and includes training before you're expected to meet with lawmakers. Please talk to a Leader if seriously interested. There are ways to help remotely if you cannot physically be there. We will send an email out when next month's meeting date/venue is secured!